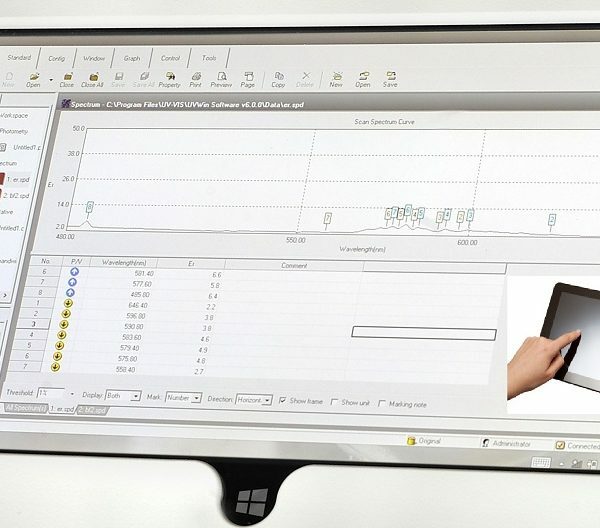 Our NEW UVWin TOUCH software offers complete instrument control with data acquisition and a whole host of mathematical tools for interpretation of measurement results. ALL AT A SIMPLE TOUCH OF THE PC TABLET SCREEN. The scan shows peak picking of peaks and valleys allowing simple idenitifcation. Showing Absorbance, Wavelength and Time. 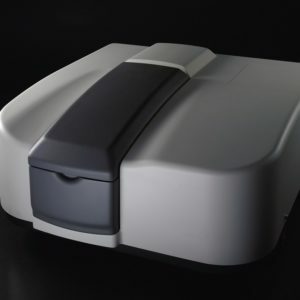 Use the spectrum workspace to scan across a user-defined spectral range measuring in either absorbance or transmission. View spectral overlay in the 3D display mode. Perform 1st, 2nd, 3rd and 4th order differentiation on sample scans for Derivative Spectroscopy. Export measurement data into Word, Excel, CSV and ASCII formats. Create method files for routine analysis whilst also being able to save measurement data. Create a calibration curve using a series of standard solution or by directly entering the coefficients for the calibration curve equation. 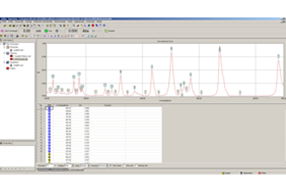 Specify 1st, 2nd, 3rd or 4th order correlation for the best calibration curve fit. Set Quality Control monitors to take user specified action in the event of measurement results falling outside user defined limits. Monitor the change of Absorbance or Transmission as a function of time for Enzyme type reactions. 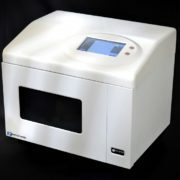 Use in conjunction with a Flowcell for sample introduction or Peltier water circulator for temperature control. 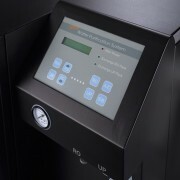 Specify data intervals and acquisition time for up to 24 hour reactions. 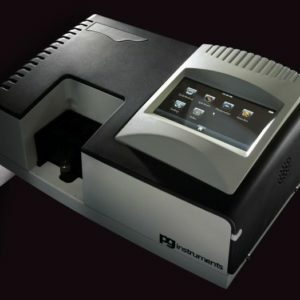 Perform a series of sequential fixed wavelength measurements in either Absorbance or Transmission. 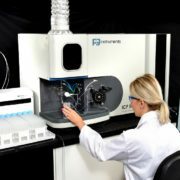 Automate sample measurements by configuring the instrument cell changer. Calculate concentration of unknown samples quickly using the “Simple Calculation” option where complete calibration is not required. Automatically calculate statistics like standard deviation, relative standard deviation, and averages. 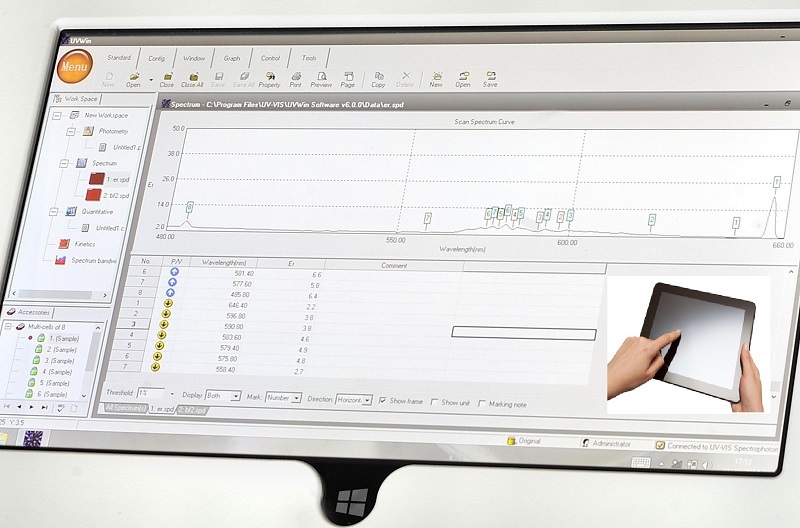 Produce reports for photometric, spectrum, kinetic and quantitative measurement data. 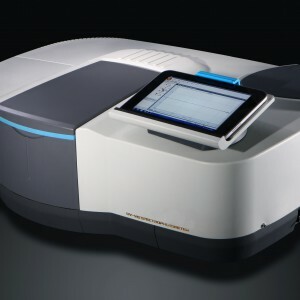 Include or remove spectra, calibration curves along with samples measurement tables.